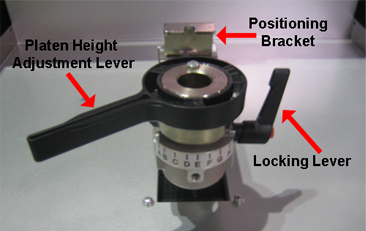 Components of the GT Cap Platen. As mentioned above, one of the core principals we had from the beginning was to make it as easy as possible to get a curved crown as flat as possible to print on. After 10 months of development and more than 10 different designs, we believe we came up with the best solution. 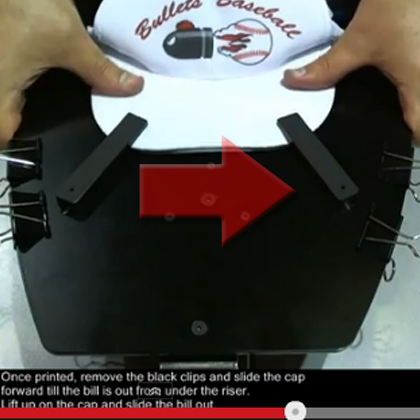 Below is the basic instructions for loading a cap on the GT Cap Platen. No one wants to have to use tools on their GT printer. So we made sure that you would not have to remove anything from your GT printer besides the GT platen. 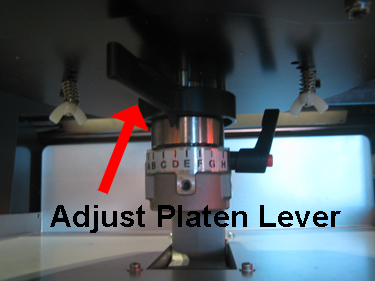 No additional modifications to the GT printer need to be made to mount the GT Cap Platen to it. 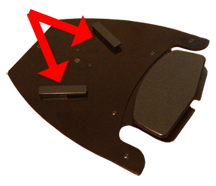 Because you have the option of using either the Large Riser or the Small Riser, as well as using the Spacer or not, we wanted to make sure that you could do this without have to use any tools to setup the GT Cap Platen. 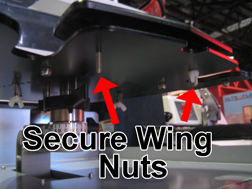 So we created it to allow the two Risers and the Spacer to be inserted on the GT Cap Platen using a basic wing nut. Works on Most Caps (Structured & Unstructured Caps).Similar to decorating caps with embroidery, some caps are easier to do compared to others. 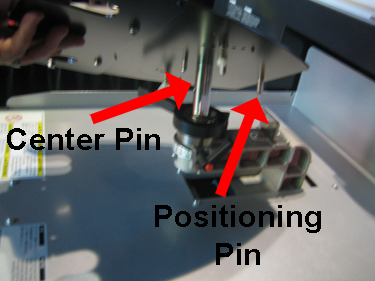 Unstructured caps (commonly known as relaxed or floppy front caps) are easier to get them to lay flat across the Cap Platen Risers. 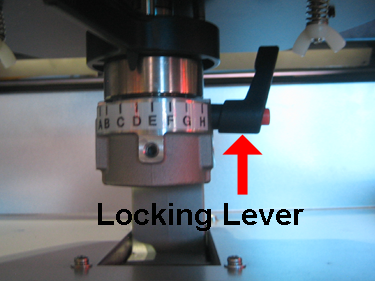 Because structured caps have rigid backing material designed to make the crown of the cap stand straight up, it can be more challenging to get the crown of the cap to lay flat. 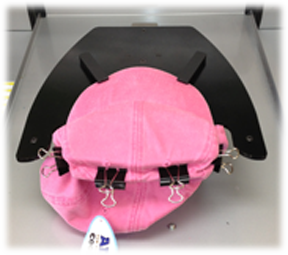 In some cases, it will be necessary to lower the GT Cap Platen down more and print using Unidirectional print mode. 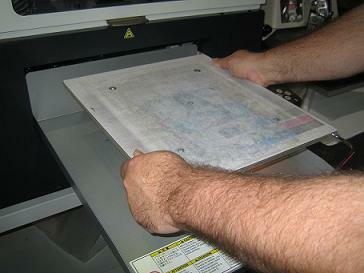 By printing in Unidirectional print mode, the platen can be lower than usually and still get a detailed print. Faast Return on Investment (ROI). Digitally printing on caps only makes senses if you are able to make back the cost of the platen – which is called the Return on Investment (ROI). Some GT users have markets that will pay more than $20.00 per a decorated cap. Others might have to sell caps for $12.00 each. 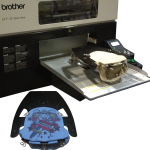 Our goal was to make a cap platen that a majority of GT users could invest in and get a quick ROI back on it. Below you find a quick ROI analysis that will show that even with a $20.00 hour employee, the ROI on the GT Cap Platen can be as low as 40 caps. Need Additional Information?If you would like additional information on the GT Cap Platen, please check out the Frequently Asked Questions and Gallery pages of our website. You can also find the installation instructions and artwork templates from the Instructions page. 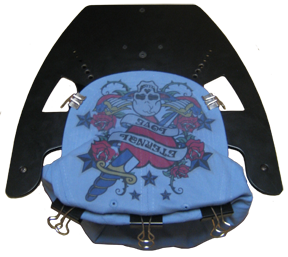 Buy a GT Cap Platen Today!